Control your Android Player through the OnSign TV website. *AVAILABLE ONLY FOR SELECTED PLANS! Besides remotely viewing the Player, you can even control it through the same page on your OnSign TV account. With this feature, you can access Apps and change settings. Click on the Player tab on your OnSign TV account and choose a device. This feature requires an Android Player with System App. 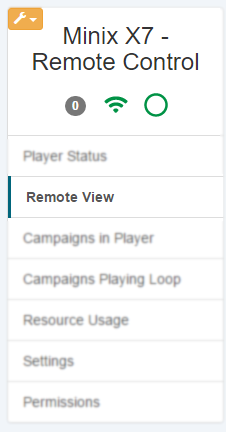 Select “Remote View” on the left bar menu. Click the “Back” button to return. Click the “Home” button to check your applications. Click on the screen with the mouse to simulate touch. If you wish to scroll, click and drag the mouse cursor as you would do on your Player with your fingers. 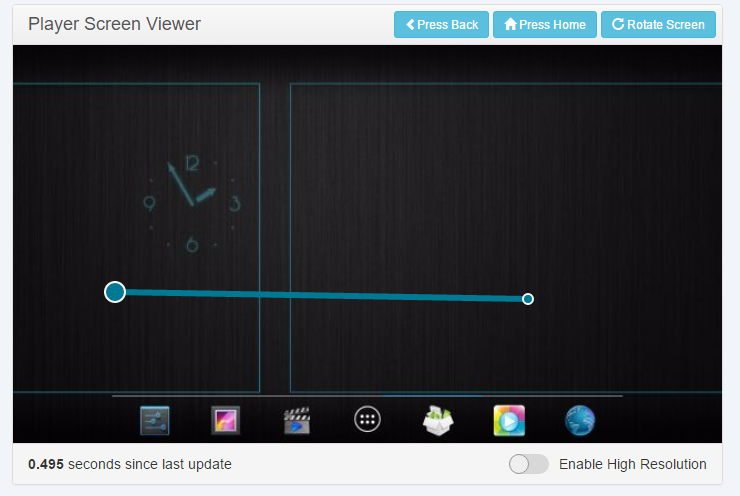 After completing your task, do not forget to open the OnSign TV App before leaving the remote view page!